Led by Diana Gilon at Beit Hagefen, an Arab-Jewish cultural center in Wadi Nisnas, Israel, Acrylic on Canvas 60" x 70"
This painting was produced in Wadi Nisnas, an Arab village near Haifa Port in Israel. The artwork was created there specifically to be part of the annual festival “Holiday of Holidays”. Every year Beit Hagefen an Arab-Jewish Cultural Center in the neighborhood, hosts a giant art festival. It celebrates all the different holidays of all the prominent religions in the region during the time period. International artists come from around the world to participate in this festival and celebrate the diversity of this special Haifa community. 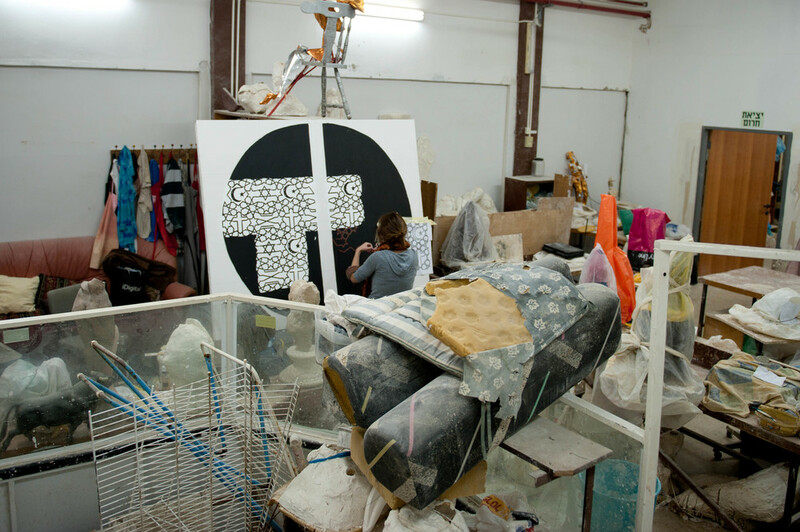 Students from Boston-based universities also traveled to Israel through Birthright to help with the vital completion of the painting. Locals from Wadi Nisnas and other festival visitors helped paint the project as well. 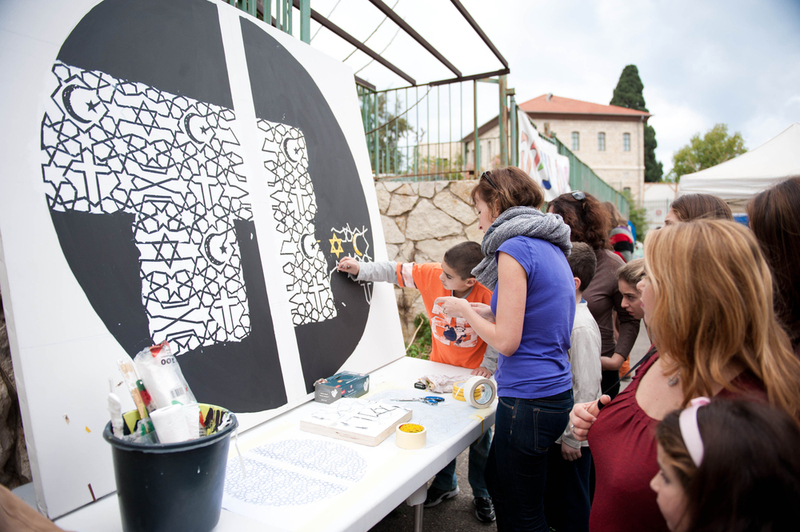 The Combined Jewish Philanthropies and the Boston Haifa Connection, as a symbol of their shared commitment towards coexistence and tolerance, gave the artwork to Beit Hagefen. The design of the piece is inspired by the traditional, Arabic star pattern. 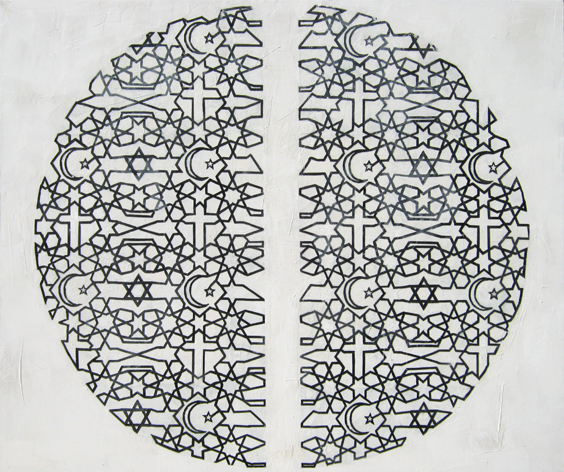 The symbolism within the pattern represents the different prominent faiths within Wadi Nisnas. 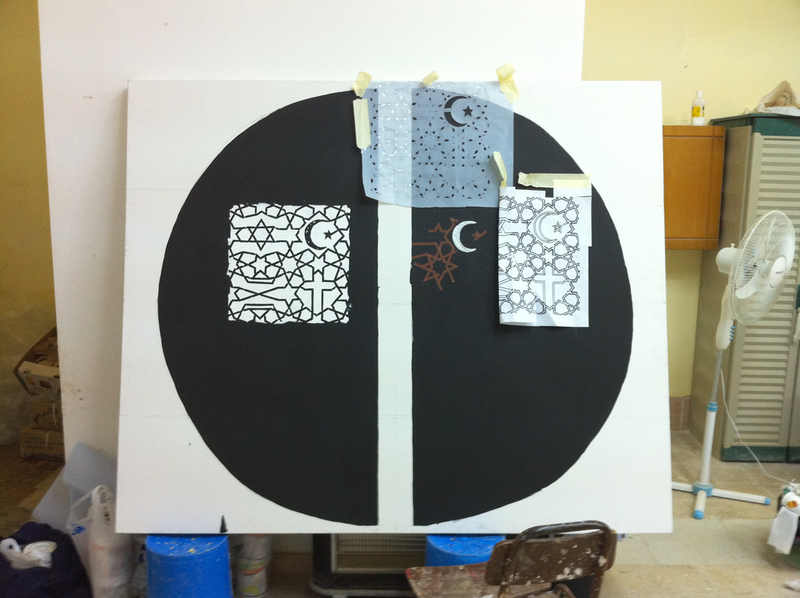 The shape of the entire pattern (the two half circles) is the shape of the Archetype for Spiritual Law of Equality. The term Archetype began with Carl Jung, the founder of Analytical Psychology.